I’m so excited to be hopping along on the “Stamp On It” Blog Hop today! Thank you to Madame Samm and Thearica for hosting! For my postage stamp, I had to do sewing for my theme. I used one of my Singer sewing machine appliques I made, plus some hand embroidery and a little needle I appliqued on, with some trailing white stitching coming from the needle’s path. I’m loving yellow and charcoal grey together, so that was the color scheme I went with. In the corner is my stamp’s currency using a stamp from this fabric and my country (USA) stitched in white to match the other sewing. The back is finished for hanging, using a dowel in the tab pockets. There are also hearts appliqued on the back, too. It was fun to make and I am happy with how it turned out! I am giving away three of my original fabric design appliques and the fabric to make one of my original Stuffies (the fabric for the mini Foxie Fox Stuffy). The appliques are cut big so you can fuse and trim them in as you want; for the Stuffy, you just add needle & thread and stuffing. The fabric makes one Fox Stuffy (front and back panels included), plus an accessory picnic basket. Don’t forget to stop by and see the other bloggers hopping today! Great sewing machine stamp , it would be great if we could get stamps like this . Thanks for sharing ! I just love all the itty bitty details!!! I get tutorials from Pinterest… you can spend hours looking at beautiful projects and ideas, it is very addictive!! Your stamp is so very pretty! Now that stamp does look like you – the sewing machine, the needle…great work!! I don’t recall that there has been a real stamp with a sewing machine on it, so this is a first. There are many other important inventions on stamps, like bicycle, train, automobile, but no sewing machine. Maybe we should start a petition! Good job on this—perfectly suited to your interests! I do follow from a previous blog hop. Love all the sewing related stamps. Great job. Your stamp is great, I also like those colors together. Thanks. Bee in My Bonnet. Thanks for the chance to win. How cute! I follow you! Loved your stamp. Really love the sewing machine applique you made! Great stamp. I love that you incorporated a sewing machine. Great appliques! I think your applique designs are so cute. I like how you did your sewing machine stamp. I am a happy follower! I too am loving the charcoal and yellow combo- haven’t actually made anything with it yet but have been admiring it from afar 🙂 your stamp is fabulous! i don’t really have a *favorite* tutorial but I do have a favorite place to find them- Make it Love it has some of the best! Love all of it (except the price for postage)! I thought we were only up to 46¢. It is hard to remember since we have forever stamps now. Cute stamp, very appropriate with the sewing machine etc. I really liked your design . Love your stamp. That sewing machine is really cute! Thanks for sharing and for the opportunity. Very cute hanging. I like all of the little details you added. I love your sewing machine stamp. It is so cute. Colors are wonderful for the summer too. You are really talented. I love all the techniques in your project. Great stamp – I love the brightly coloured sewing machine! Love your creation. Thanks for the chance to win. Love your sewing machine applique and hope I win one! I like your originality. Your stamp is adorable and your stitching if great! Nice job on your stamp. Very creative. Yes the Yellow and Gray work really well together. Oh that is so cute! Great job and thanks for sharing. I am with you such a feeat stamp, has me wanting to sew, what do you know wink. Very cute idea. I’m having a good time with this blog, so thanks for the fun. My favorite is youtubes by Jenny Doan. She makes everything seem so easy. thanks for your giveaway too. I love sewing too! And the sewing machine image is one of my favorites. Really cute stamp. How cute your stamp is. Love the sewing machine.The stamp fabric from Spoonflower is great and you could have just used that as you stamp too. Love your design. The sewing machine is terrific. Thanks for sharing and the chance to win. I get inspiration from all you creative bloggers. I love and try many of the free tutorials and I buy patterns when I’m inspired by other’s creations. Love your Stamp on It creation !! It’s sew cute. Thanks for the giveaway, I love your sewing machine applique. How cute! Your applique pieces are adorable! I love the gray and yellow stamp! Fun 🙂 Your stamp matches my stamp (I post tomorrow) I used a sewing theme and yellow and grey as well! Love your project. Just lovely. And I adore the color scheme you’ve chosen; it is a favorite of mine right now! Great job. Thanks for sharing and the giveaway. Now that is one great “stamp”! What a cute way to add your special applique designs. I don’t think I can pick a favorite tutorial, there are so many. I know, I just love my fellow bloggers who share with us all. What a wonderful, and inspiring bunch we are! A sewing machine stamp–great idea! I love those colors, too! Thanks for hopping with us! I love your stamp quilt. It is gorgeous. Thanks for sharing. That is great!! and for the way to hang it up….THANKS! !….you know I just thought of another way to display the stamp is to make a display board…..like what beeinyourbonnet makes to keep her blocks organized while piecing?….you totally inspired us!!…. That was a great idea using your love of sewing and the stamp theme. Good job. Lately I’ve been experimenting with soutache embroidery for jewelry. Interesting. 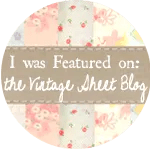 Oh my….. your own appliques……. just love, love the machine and your stamp! Thanks for sharing and thanks for the giveaway! 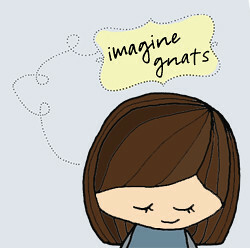 What a great theme for a stamp; it’s very sweet! Great stamp! Your appliques are beautiful! Great job on the stamp! Thanks for hopping and sharing with us! Jennet. What a fabulous creation! Love it and the colors of those fabrics. Thanks for sharing your project! very cute. thanks for sharing today. I love your stamp theme! It is perfect. Quilting tutorials are my favorite. what a great giveaway! I do like your applique- very creative ideas! Thank you for sharing. Oh I love your stamp. It is so much you. I have been following you for a long time now by email. Thank you for sharing your creativity and for a great giveaway. Have a great day reading all comments. 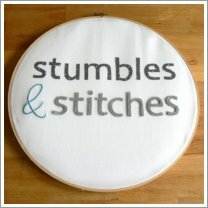 This blog hop is sew fun. Wow you did a wonderful job on your stamp and a wonderful subject to make it for….great job. Have a super day. I love your little quilt and that you chose to be able to hang it on the wall to display. I love little quilts anyway, it is easy to get a project done if you make ’em little, right? Love those!! I’m huge into foxes 🙂 and everything crafty! I view a lot of tutorials then work from a few so don’t have a fav necessarily. I like to see everyone’s tips and tricks :-). I follow via bloglovin’. Your stamp is adorable. I love yellow and gray too! Love your sewing machine stamp! Thank you for sharing. I like the knitting tutorials from The Purl Bee.